"Court Deference to Agency Interpretations of Ambiguous Regulations: How Much is Too Much?" by Jessica L. Gustafson, Esq. and Adrienne Dresevic, Esq., AHRA Link, March 25, 2019. "District Court Rules OMHA Appeals Backlog to be Eliminated by 2022," by Jessica L. Gustafson, Esq. and Abby Pendleton, Esq., ABA The Health Lawyer, Vol. 31, No. 3, February 2019. "The Medicare Appeals Adjudication Backlog: New Initiatives May Offer Relief to Appellants," by Jessica L. Gustafson, Esq. BC Advantage, January/February 2018. "Medicare Appeals Update: Is a Resolution Near?" by Adrienne Dresevic, Esq., and Jessica L. Gustafson, Esq. AHRA Link August 22, 2016. "Reporting and Returning Medicare Overpayment: Long Awaited Final Rule Provides Clarification"., by Jessica L. Gustafson, Esq. and Clinton Mikel, Esq., ABA Health eSource, Volume 12 No. 7, March 2016. "New Final Rule on Medicare Over Payments", by Adrienne Dresevic, Esq., Jessica L. Gustafson, Esq., and Leslie Rojas, Esq. AHRA LINK March 18, 2016. "Medicare Enrollment: CMS's Most Potent Program Integrity Tool Becomes Even Stronger," by Donald Romano, Esq., Adrienne Dresevic, Esq. and Jessica L. Gustafson Esq., The Health Lawyer Volume 28, Number 3, February 2016. Jessica L. Gustafson, Esq. was quoted in,"Ruling Gives Hospitals Hope on RAC Appeals Backlog" by Lisa Schencker, Modern Healthcare, February 9, 2016. "Delays in Medicare Appeals Adjudication Part 2: A Potential Legislative Solution on 2/8/2016 by Adrienne Dresevic, Esq. and Jessica L. Gustafson, Esq. AHRA LINK February 8, 2016. "Delays in Medicare Appeals Adjudication Part 1: Scope of the Problem",by Adrienne Dresevic, Esq., and Jessica L. Gustafson, Esq., AHRA LINK January 29, 2016. "Implications of the 2016 OPPS Final Rule: CMS Finalizes Revisions to its 2-Midnight Rule for Inpatient Hospital Admissions", by Jessica L. Gustafson, Esq., and Abby Pendleton, Esq., ABA Health eSource, Vol. 12 No. 4, December 2015. "Wading through Muddy Waters: Hospitals Plan for Revisions to CMS' 2-Midnight Rule," by Jessica L. Gustafson, Esq., and Abby Pendleton, Esq.,ABA Health eSourch July 2015. "CMS Increases Enrollment Enforcement", by Jessica L. Gustafson, Esq., and Adrienne Dresevic, Esq. AHRA Link, March 2015. Jessica Gustafson, Esq. was quoted in, "Hospital Loses ABN Appeal to Patient Based on Use of Acronym", AIS Health, May 2014. Jessica L. Gustafson, Esq. was quoted in, "Report on Medicare Compliance", Volume 23, Number 6, February 17, 2014. "The Latest Development in Federal Health Care Audit Programs: Supplemental Medical Review Contractor Audits", by Jessica L. Gustafson, Esq. and Abby Pendleton, Esq., BC Advantage, January 2014. Jessica L. Gustafson, Esq. was quoted in, "Report on Medicare Compliance", Volume 23, Number 2, January 20, 2014. Abby Pendleton, Esq. and Jessica L. Gustafson, Esq. were quoted in, "Whacked by RAC", Hospitals & Health Networks, January 14, 2014. Jessica L. Gustafson, Esq. was quoted in, "Report on Medicare Compliance", Volume 22, Number 40, November 11, 2013. Jessica Gustafson, Esq. was quoted in "Report on Medicare Compliance", Volume 22, Number 35, October 2013. "SMRC: The Latest Development in Medicare Audits", by Adrienne Dresevic, Esq. and Jessica L. Gustafson, Esq., AHRA Link, September, 2013. "2014 IPPS Final Rule Establishes New Requirements for Physician Documentation in Hospitals", by Jessica L. Gustafson, Esq., ABA Health Law Section Physician Issues Interest Group Member Alert, August, 2013. "CMS Publishes 2014 Inpatient Prospective Payment System ("IPPS") Final Rule: CMS Payment Policies Related to Patient Status Revised", by Abby Pendleton, Esq. and Jessica Gustafson, Esq., HLP Client Alert, August, 2013. Jessica Gustafson, Esq. was quoted in "Painful Side Effects: Drug Abuse Problems Evade Paltry Anti-Fraud Efforts in Medicare Part D", Modern Healthcare, April 2013. "CMS Acquiesces to Hospital Pressure, Allows Part B Billing of Hospital Services Following Part A Denial of Inpatient Hospital Claims for Medical Necessity: Is It Enough? ", by Jessica L. Gustafson, Esq. and Abby Pendleton, Esq., ABA Health eSource, March 2013, Volume 9, Number 7. Jessica Gustafson, Esq. was interviewed and quoted in, "The Problems with Audits", an article on The Recovery Audit Contractor (RAC) program, by Deborah Abrams Kaplan, Diagnostic Imaging, February 6, 2013. Abby Pendleton, Esq. and Jessica Gustafson, Esq. were interviewed and quoted in, "Facing an Audit? Here's What You Need to Know", Diagnostic Imaging, February 6, 2013.
" Compliance Can Be Tricky in the Age of Electronic Medical Records", by Abby Pendleton, Esq. 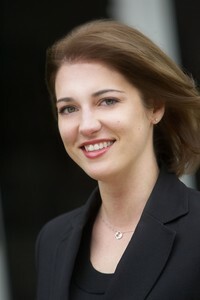 and Jessica L. Gustafson, Esq., Michigan Medical Law Report, Spring 2011. "Regulatory Review: Special Annual Meeting Edition," by Adrienne Dresevic, Esq. and Jessica L.Gustafson, Esq., AHRA Link, August 2010. "HIPAA enforcement strengthened, penalties increased" by Jessica L.Gustafson, Esq. and Abby Pendleton, Esq., Michigan Medical Law Report, Vol. 5, No. 4, Winter 2010. "Physicians Can Choose to Opt Out of Medicare Participation" by Abby Pendleton, Esq. and Jessica L. Gustafson, Esq., Michigan Medical Law Report, Vol. 5, No. 3, Fall 2009. "HITECH in a High Tech Era" by Abby Pendleton, Esq. and Jessica L. Gustafson, Esq., Communique, Fall 2009. "What Anesthesiologists And Pain Management Physicians Need To Know About The RAC Program" by Abby Pendleton, Esq. and Jessica Gustafson, Esq., Communique, Summer 2009. "Physician Compensation Trends to Consider in Establishing Fair Market Value (FMV)," moderated by Jessica L. Gustafson, Esq., and presented by Rud Blumentritt, CPA/ABV, CVA (Horne, LLP) and Albert "Chip" Hutzler, JD, MBA, CVA (HealthcareAppraisers), American Bar Association Health Law Section webinar, presented January 10, 2019. "Regulatory Update - 60 Day Recoupment, CMS/OMHA Appeal-Reduction, Front-End Compliance and Appeals," by Jessica L. Gustafson, Esq. and Abby Pendleton, Esq.,The 6th National Physician Advisor and Utilization Review Team Boot Camp 2018, Los Angeles, CA, July 27, 2018. "Will Medicare Revoke Your Billing Privileges? " by Jessica L. Gustafson, Esq. and Donald Romano, Esq. (Foley & Lardner, Washington, DC), Appeal Academy webinar, presented June 26, 2018. "Will Medicare Revoke Your Billing Privileges? Don't Answer "No" Too Quickly," by Jessica L. Gustafson, Esq. and Donald Romano, Esq. (Foley & Lardner, Washington, DC), American Bar Association Health Law Section & Chicago Medical Society Physicians Legal Issues Conference, Chicago, IL, presented June 8, 2018. "Denials Scene," by Jessica L. Gustafson, Esq. and Abby Pendleton, Esq., 2018 National Physician Advisor Conference/SEPAS 2018, Greenville, SC, presented May 1, 2018. "Are the Changes for the Better? What Appellants and Legal Counsel Need to Know about the New Medicare Appeals Rule," by Jessica L. Gustafson and Jacob J. Harper (Morgan Lewis), American Bar Association Health Law Section webinar, presented August 10, 2017. "Meet the Dream Team: 5) Legal Team - When All Else Fails," by Jessica L. Gustafson, Esq. and Abby Pendleton, Esq., 5th National Physician Advisor and Utilization Review Boot Camp, FL, July 21, 2017. "Avoiding Compliance Pitfalls with the Use of Electronic Medical Records," by Jessica L. Gustafson, Esq. and Julie Hardy, MSA, RHIA, CCS, CCS-P (The Rybar Group), Michigan Health Care Law Section webinar, presented June 28, 2017. "Drive Effective Collaboration between Payers and Providers," moderated by Jessica L. Gustafson, Esq., 14th Annual Physician Advisor Summit, Orlando, FL, March 21, 2017. "The Current Audit Structure and Proposed Changes to the Medicare Appeals Process," by Jessica L. Gustafson, Esq., 4th Annual West Physician Advisor & Case Management Summit, San Diego, CA, October 24, 2016. On July 22, 2016, Jessica L. Gustafson, Esq. and Abby Pendleton, Esq. participated in a Mock ALJ hearing during the RAC Summit, 4th Physician Advisor and UR Team Boot Camp in San Antonio, TX. "Appealing to the ALJ: Strategies for Success," by Abby Pendleton, Esq. and Jessica L. Gustafson, Esq., 5th Annual Southeast Physician Advisor Symposium, Greenville, SC, April 27, 2016. "Examine the Modified Two-Midnight Rule and Its Impact on the Documentation Process," by Jessica L. Gustafson, Esq., World Congress 13th Annual Observation Management Summit, Chicago, IL, April 26, 2016. "Effective Strategies for Dealing with Denials and Appeals," by Jessica L. Gustafson, Esq., National Association of Physician Advisors 13th Annual Physician Advisor Summit, Orlando, FL, March 15, 2016. "Medicare Provider Enrollment: Strategies for Denials, Revocations and Appeals", by Jessica L. Gustafson, Esq., Donald Romano, Esq., and Andrew B. Wachler, Esq., Strafford Nationwide Webinar, January 7, 2016. “Understanding Changing CMS Rules and Regulations to Maintain Learning and Improve Quality,” by Jessica L. Gustafson, Esq., World Congress 3rd Annual National Association of Physician Advisors (“NAPA”) Physician Advisor & Case Management Summit, San Diego, CA, October 19, 2015. "Medicare Audits and Appeals Environment: What Hospitals Need to Know," by Jessica L. Gustafson, Esq. and Abby Pendleton, Esq., Healthcare Financial Management Association ("HFMA") Gulf Coast 2015 Fall Institute, Houston, TX, October 16, 2015. “How to Handle Difficult Situations – Point-Counterpoint,” panel discussion including Jessica L. Gustafson, Esq., The National RAC Summit 3rd Physician Advisor and UR Team Boot Camp, San Antonio, TX, July 23, 2015. Jessica L. Gustafson, Esq. co-presented, "The Business of Chiropractic: An Ounce of Prevention is Worth a Pound of Cure," Michigan Association of Chiropractors (MAC), 2014 MAC Fall Express Conference, Mt. Pleasant, MI, November 22, 2014. Jessica L. Gustafson, Esq. and Abby Pendleton, Esq.. gave a Legal and Regulatory Update at the 9th National RAC and MAC Summit, Washington D.C., November 13-14, 2014. Jessica L. Gustafson, Esq. presented at the 2014 AHRA Annual Meeting, on the topic of "What Radiology Practices Need to Know about Federal Medicare Auditing Programs," Washington, D.C., August 12, 2014. Jessica L. Gustafson, Esq. and Abby Pendleton, Esq. presented at The National RAC Summit 2nd Physician Advisor and UR Team Boot Camp Best Practices from Pre-Admission to Appeal, Chicago, IL, July 14-16, 2014. Jessica L. Gustafson, Esq. moderated the ABA Health Law Section webinar, "Unified Hospital Medical Staffs Under the New Medicare Regulations: What You Need to Know About the Changes in the Medicare Conditions of Participation," on July 10, 2014. Abby Pendleton, Esq. and Jessica L. Gustafson, Esq. presented, "Overview and Recap of the 2014 CMS IPPS Final Rule", World Congress National Association of Physician Advisor (NAPA) Summit, Orlando, Florida, March 24, 2014. Abby Pendleton, Esq., Jessica L. Gustafson, Esq., and Michael Salvatore, MD presented, "Successfully Deal with Denials", World Congress National Association of Physician Advisor (NAPA) Pre-Summit Workshop, Orlando, Florida, March 24, 2014. Jessica L. Gustafson, Esq. presented "Two-Midnight Rule: Implications for Auditor Behavior and Appeal Strategies," The National RAC Summit, Washington DC, December 6, 2013. Jessica L. Gustafson, Esq. moderated, "Do-It-Yourself Valuation: When and How to Determine Fair Market Value Without an Outsider Appriaser", ABA Health Law Section, Physician Issues Interest Group, November 21, 2013. "CMS's New Two-Midnight Rule for Inpatient Admissions: Strategies for Hospital Compliance", by Abby Pendleton, Esq. and Jessica L. Gustafson, Esq., AIS Webinar, September 26, 2013. Regulations Impacting Healthcare Marketing, by Adrienne Dresevic, Esq. and Jessica L. Gustafson, Esq., AHRA 41st Annual Meeting and Exposition, Minneapolis, MN, July 28-31, 2013. Recent Developments and Key Legal Issues Impacting Radiology Practices, by Adrienne Dresevic, Esq. and Jessica L. Gustafson, Esq., AHRA 41st Annual Meeting and Exposition, Minneapolis, MN, July 28-31, 2013. The Medicare Audit Landscape: What Radiology Practices Need to Know, by Adrienne Dresevic, Esq. and Jessica L. Gustafson, Esq., AHRA 41st Annual Meeting and Exposition, Minneapolis, MN, July 28-31, 2013. On August 23, 2013, Jessica Gustafson presented on the 2014 IPPS Final Rule on Appeal Academy’s Finally Friday. Robert S. Iwrey, Esq. and Jessica L. Gustafson, Esq. presented on "Increased Scrutiny on Health Care Providers and How to Avoid Becoming A Target" to the Huron Valley Physician Association at St. Joseph Mercy Hospital in Ypsilanti, MI, May 7, 2013. Adrienne Dresevic, Esq. and Jessica L. Gustafson, Esq. presented "ICD-10: Compliance Risks and Mitigation Strategies" at the 2012 AAMA Annual Conference in San Antonio, Texas, November 13th-16th, 2012. "Recent Developments and Key Legal Issues Impacting Radiology Practices" by Adrienne Dresevic, Esq. and Jessica L. Gustafson, Esq., AHRA 40th Annual Meeting and Exposition, August 12, 2012, 1:00 PM - 4:00 PM, Orlando, FL. "Recent Developments and Key Legal Issues Impacting Radiology Practices" by Adrienne Dresevic, Esq. and Jessica L. Gustafson, Esq., AHRA 40th Annual Meeting and Exposition, August 13, 2012, 2:00 PM - 5:00 PM, Orlando, FL. "Regulations Impacting Healthcare Marketing" by Adrienne Dresevic, Esq. and Jessica L. Gustafson Esq., AHRA 40th Annual Meeting and Exposition, August 14, 2012, 10:00 AM - 11:00 AM, Orlando, FL. "Medicare Audit Appeals: Representing Healthcare Providers", National Business Institute Teleconference, June 6, 2012. “Recent Developments and Key Legal Issues Impacting Radiology Practices,” Adrienne Dresevic, Esq. and Jessica L. Gustafson, Esq., AHRA Annual Meeting, August 16, 2011, Grapevine, TX. "An Unprecedented Era of Claims Scrutiny: Successfully Managing Targeted Medical Review, Recovery Audit Contractor and Medicaid Integrity Audits," Jessica L. Gustafson, Nebraska Hospice and Palliative Care Association 2011 Annual Conference, Lincoln, NE. "How RAC & MIC Audits Will Affect LTC Facilities," 2011 Health Care Association of Michigan (HCAM) Spring Leadership Conference, March 31, 2011. "How RAC and MIC Audits Will Affect LTC Facilities," Health Care Association of Michigan (HCAM) and the Michigan Center for Assisted Living (MCAL) 2010 HCAM/MCAL Leadership Conference, March 24, 2010. "Recovery Audit Contractors and Medicare Audits," at National City Bank, March 16, 2010. "Protecting, Improving, and Enhancing Your Bottom Line" The Oakland County Bar Association Oakland County Medical Society, December 1, 2009. Recovery Audit Contractors, Michigan Association of Physicians of Indian Origin (MAPI), March 15, 2009. Jessica L. Gustafson, Esq. was elected into The Fellows of the American Bar Foundation. Jessica L. Gustafson, Esq. was selected as a Rising Star by Super Lawyers from 2012-2018. Jessica L. Gustafson, Esq. was selected as an Up and Coming Lawyer in 2010 by Michigan Lawyers Weekly.